Mary Clark, Traveler: What Is There To do in Commerce and Cooper, Texas? What Is There To do in Commerce and Cooper, Texas? The first major sight of Commerce from the north, south, and west is the campus of Texas A&M University at Commerce. The twelve story Whitley Hall is the tallest structure between Dallas and Texarkana. This 123 year old school of almost 10,000 students has undergone major construction and revision in the last ten years and has become a welcoming, vibrant campus. It is the fastest growing university in the Texas A&M system. Much of the activity in town is centered around the campus. Here are some suggestions for your visit there and in nearby Cooper. The Texas A&M Planetarium on campus. Offering weekly shows, the planetarium helps connect this little spot of Texas with the universe out there. Comfortable chairs recline and allow star viewing without a stiff neck. A professor often appears at the end of the programs for follow up questions and comments. It’s a deal for students and visitors. If you’re really lucky, there is occasional public viewing at the nearby Observatory. Izzy’s Cakes and Bistro. Don’t be fooled by the name. The fare here is not limited to their lovely cakes. Just across the street from campus is this surprisingly diverse bakery that serves a nice assortment of soups, salads, and sandwiches in addition to their sweet offerings. The daily soup specials are made with fresh herbs and cheese. Panda Chinese Restaurant downtown. Billed as “Fine Chinese Cuisine”, it is, at last, a Chinese restaurant without a buffet. This means all dishes are freshly made and the choices almost limitless. We shared several dishes including one of my favorites, Mu Shu Pork. You can even have Tsing Tao beer with the your meal. 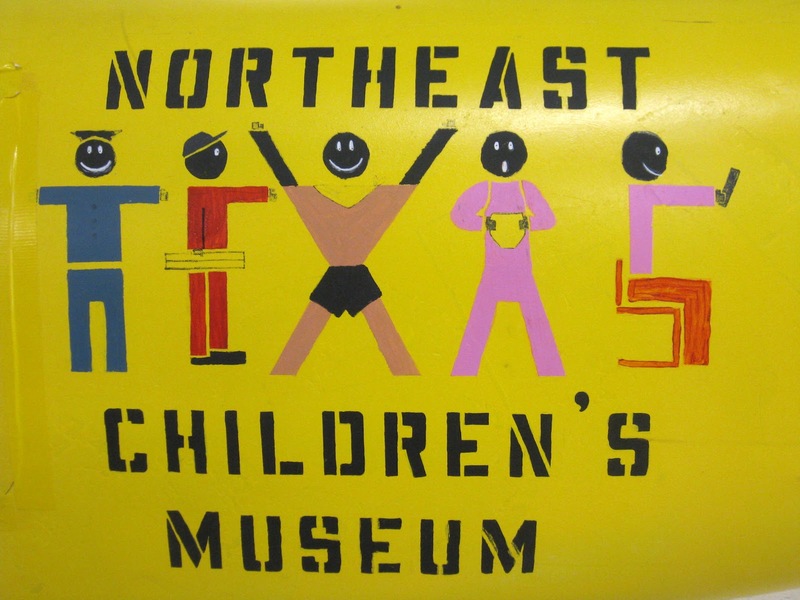 Northeast Texas Children’s Museum on campus. It’s very unusual to have a children’s museum in such a small town. Visiting children can push their own grocery cart, climb into a space ship, pull a bubble up around them, explore a tipi, or try their hand at hieroglyphics. Area schools send buses of kids for special science or health programs. The many activities fill the common area of a former dormitory that can hold and entertain a lot of children. Down the Road from Commerce on the way to Paris is small Cooper, Texas which drops a visitor into a turn of the century East Texas town. Most people take the bypass around but there are some reasons to linger. 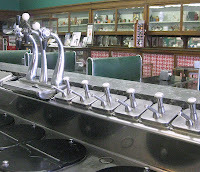 Miller’s Pharmacy drug store downtown is known far and wide for having an old fashioned soda fountain. This translates into “real” shakes and malts. 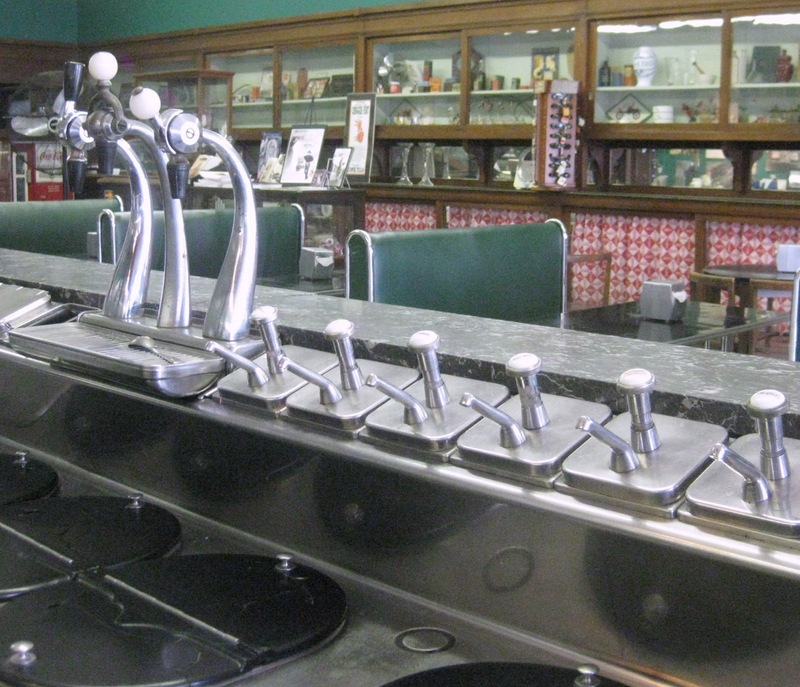 Mabel Wheat still greets you after 60 years in the same location. 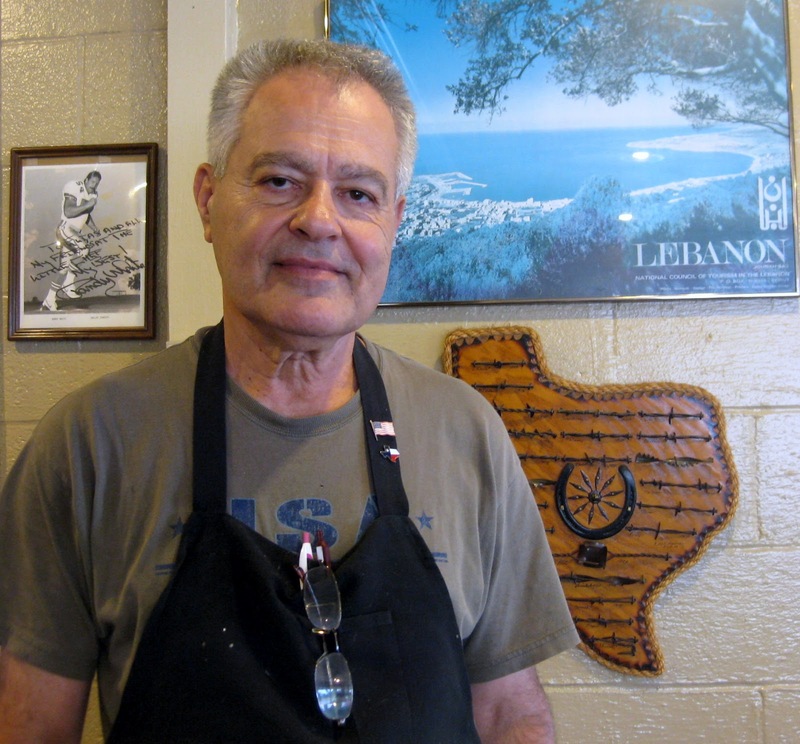 A newcomer to the Cooper is the Little Chef Restaurant on West Dallas Street, a transplant from the Metroplex. 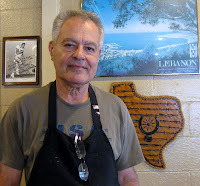 The owner, Elias Richa, got tired of the big city life and brought his restaurant to Cooper. The menu is ambitious and offers a wonderful assortment of omelettes for the breakfast and brunch crowd as well as sandwiches and meals at lunch and dinner. 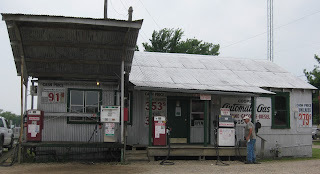 An old fashioned gas station experience is available at Cooper Automatic Gas and the Delta County Museum is just down Dallas street. On the square are many more restaurants than expected - Jalapeno’s Mexican Grill, the Pizza Factory and Burgers & Beans. Labels: East Texas, Ten Hidden Gems, Texas, What Is There To Do?